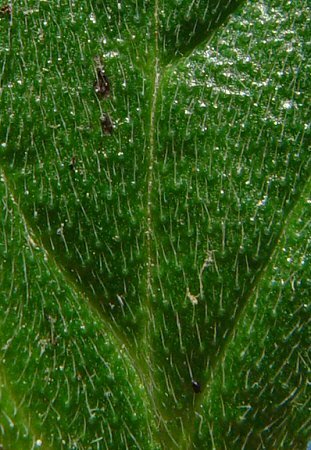 Close-up of adaxial leaf surface showing pustulate-based hairs. Habitat - Bluff forests, mixed deciduous forests. 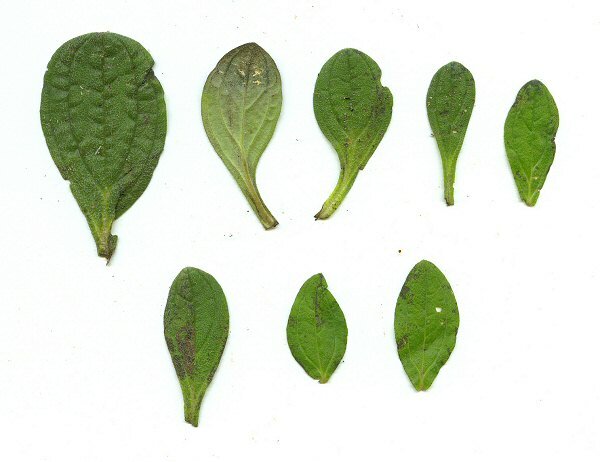 Other information - This little species can be found scattered mainly in northern and central Alabama. 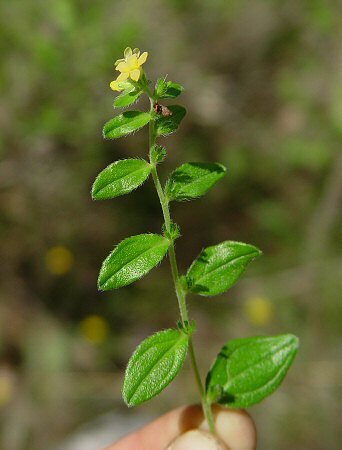 The plant is easy to identify becasue of its spatulate leaves, hairy stems, and pale yellow flowers. 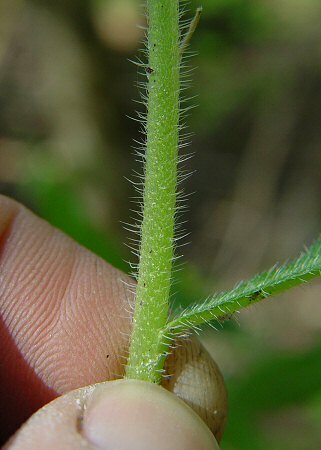 The leaves of this species have antrorse hairs with pustulate bases. 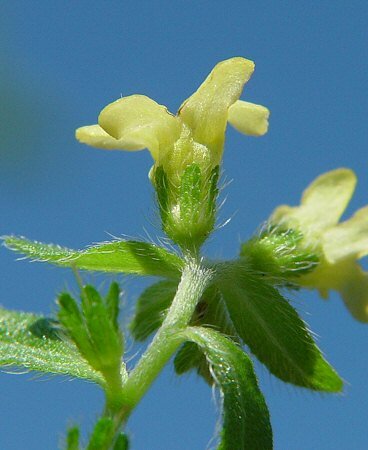 The flowers are found in the axils of leafy bracts along the branches of the inflorescence. 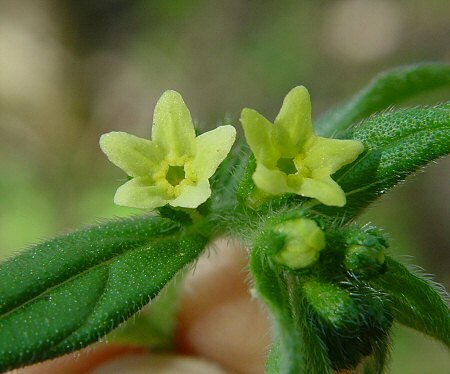 The genus name Lithospermum derives from the Greek "lith(o)" meaning "a stone" and "sperm(a)" meaning "seed" referring to the hard, stone-like seeds of this genus. 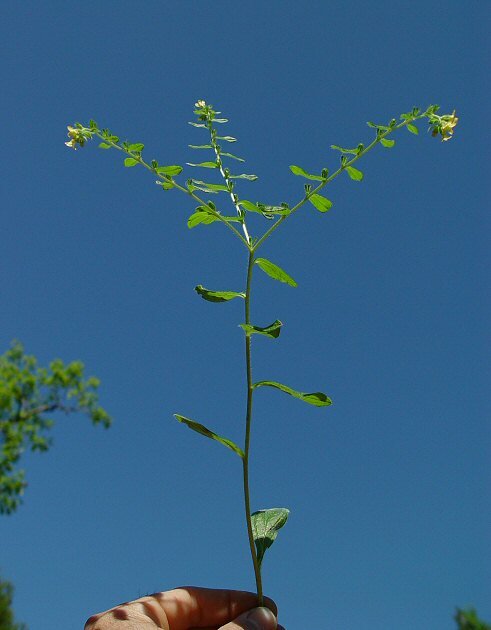 The species epithet tuberosum derives from the Latin "tuber" meaning "a knot, swelling, knob" referring to the large, tuberous root of this perennial species. 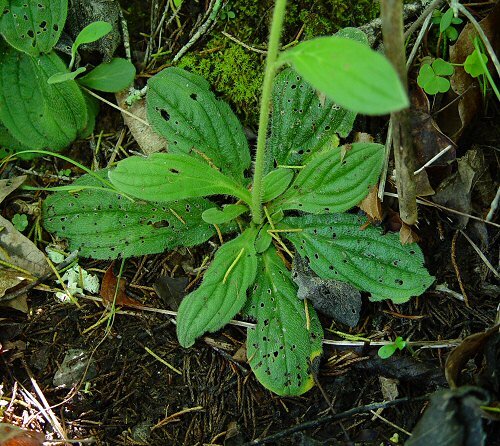 Photographs taken at Bibb County Glades, Bibb County, AL., 5-1-05, and in the Red Hills of Alabama, 3-25-06.